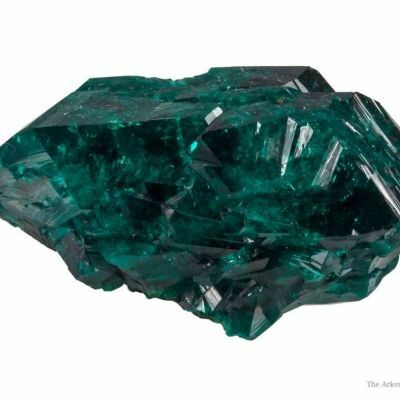 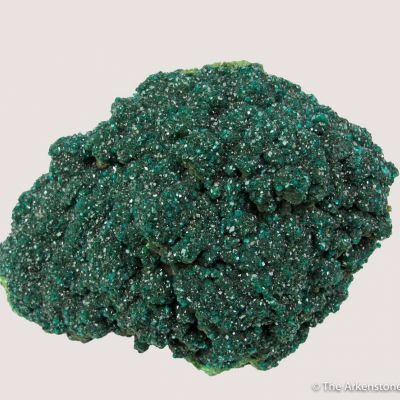 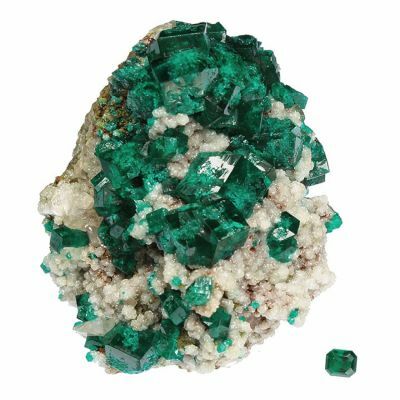 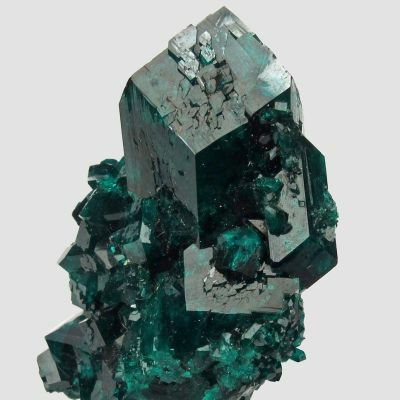 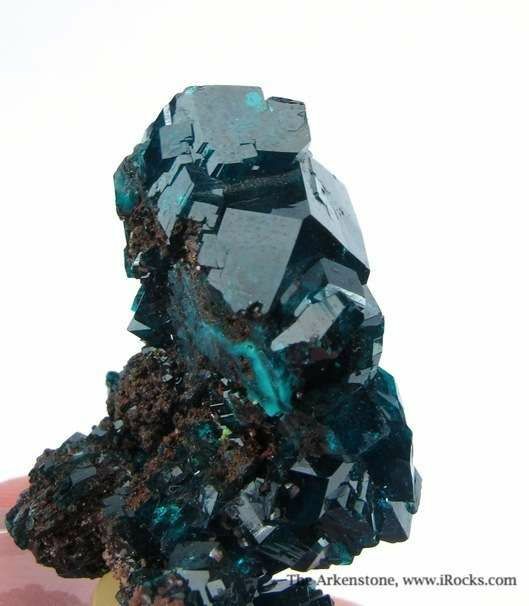 Superb cluster of dazzling, deep green, gemmy Dioptase crystals. 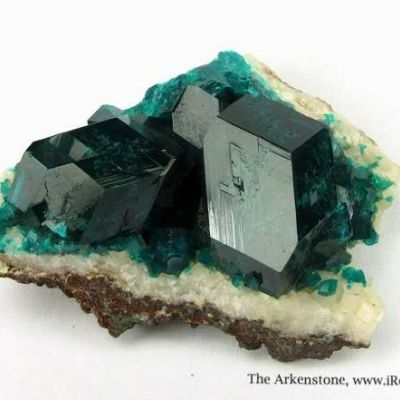 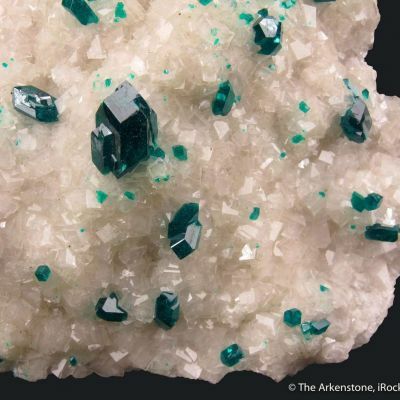 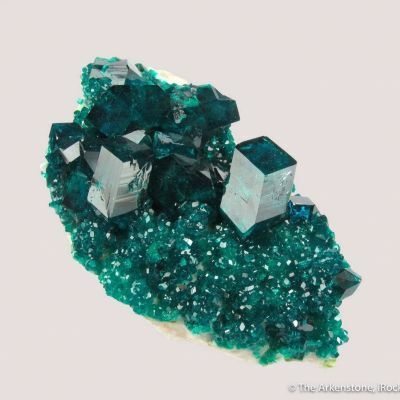 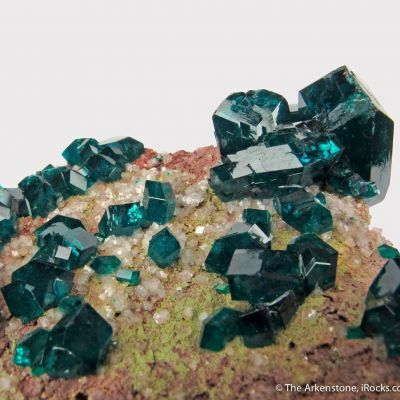 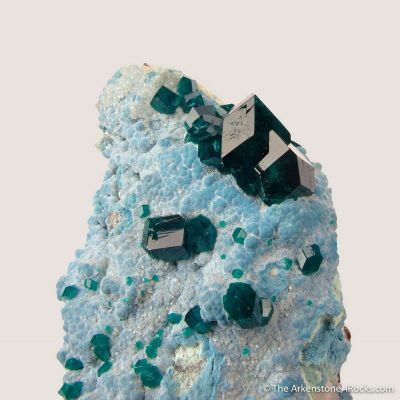 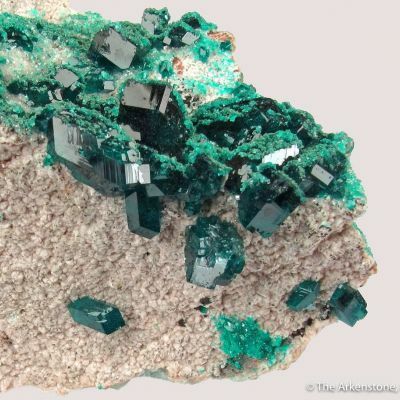 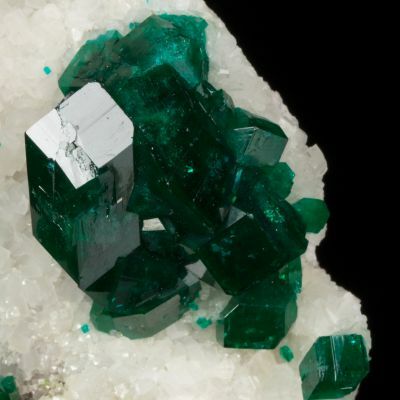 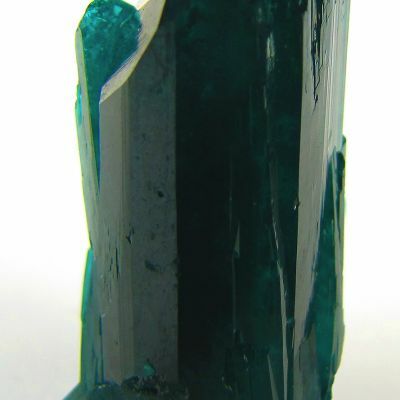 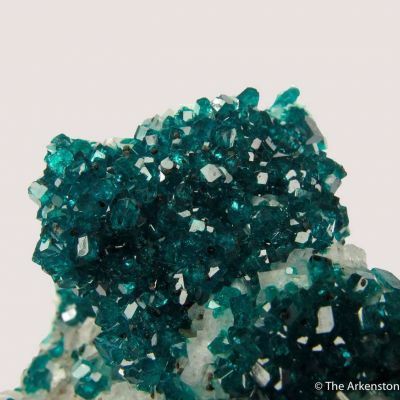 Save for a small amount of attached matrix, this miniature is 100% Dioptase. 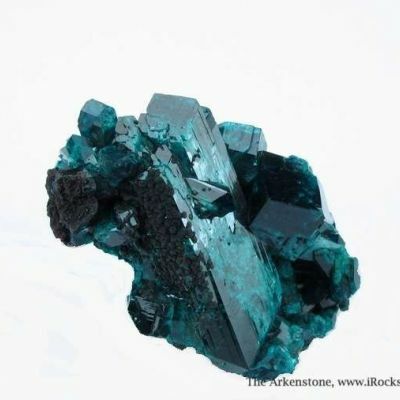 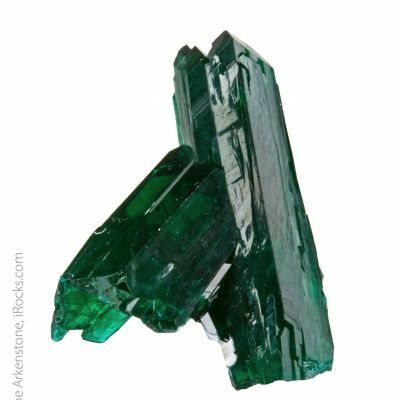 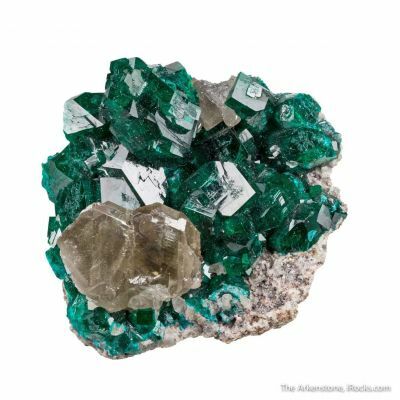 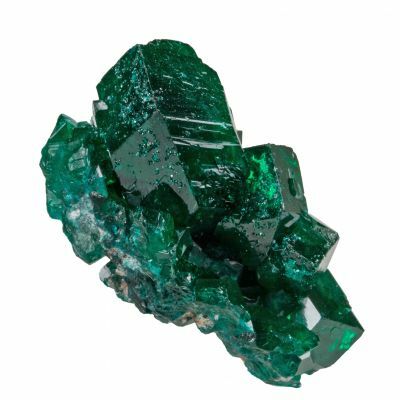 The crystals have superb luster, and they burn with a deep green fire. 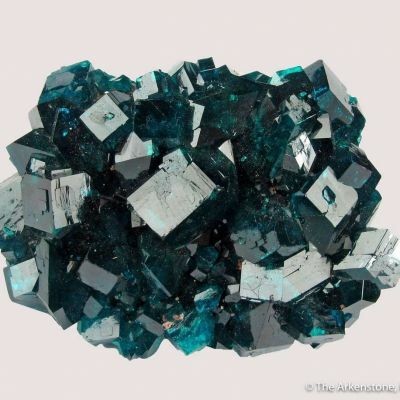 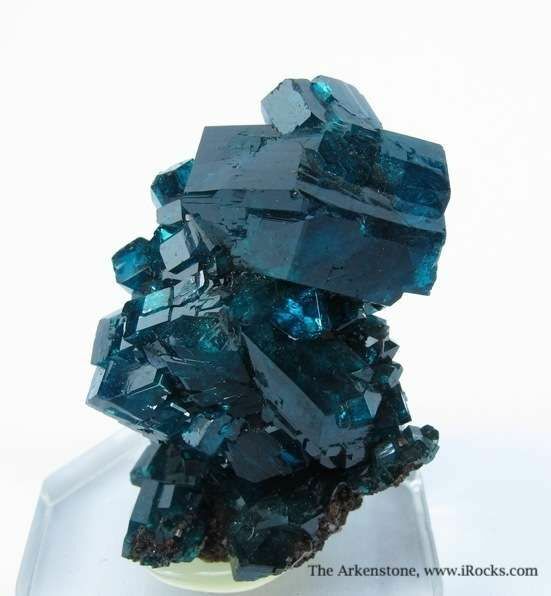 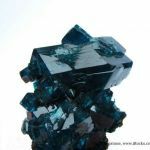 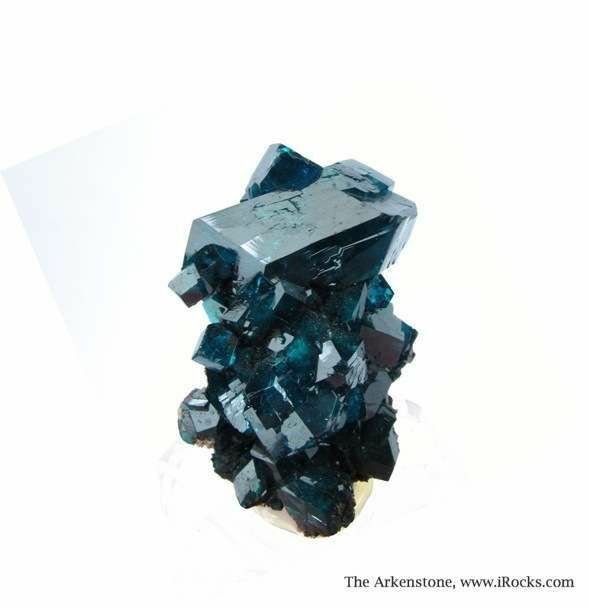 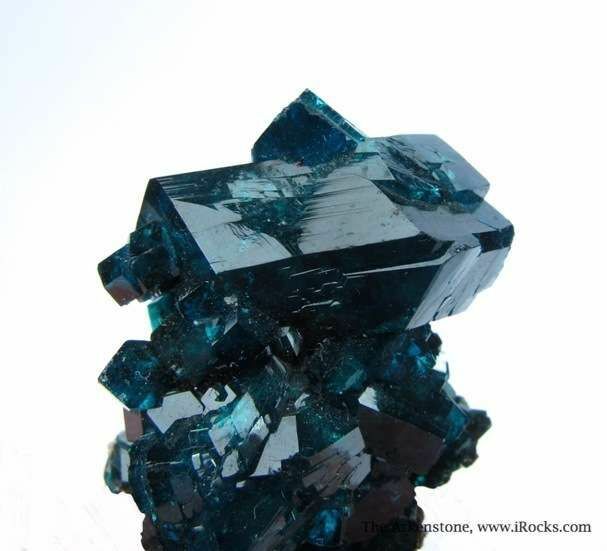 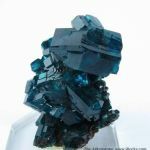 The largest crystal, which is 2.2 cm long, is perched atop the cluster beautifully. 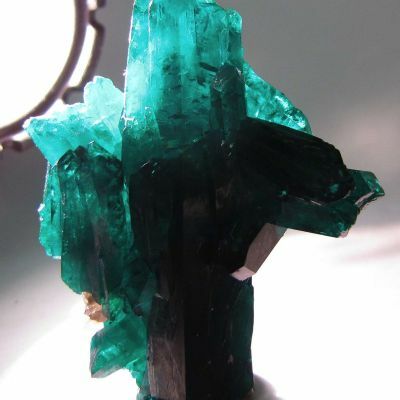 The condition of the specimen is excellent, with only one tiny, minor bit of edge wear - it is virtually pristine. 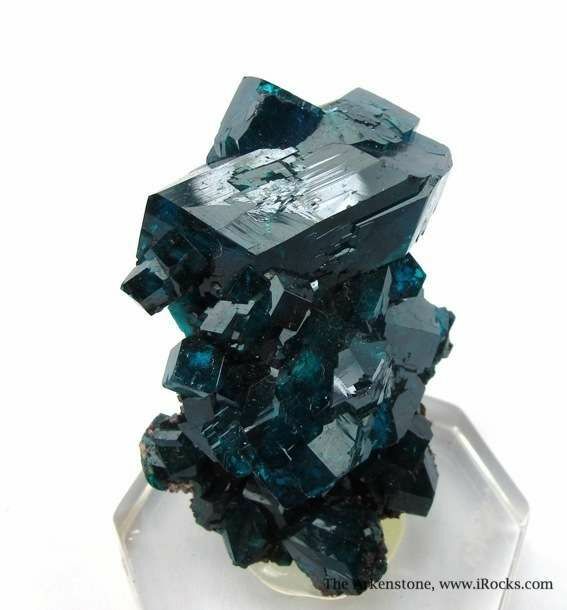 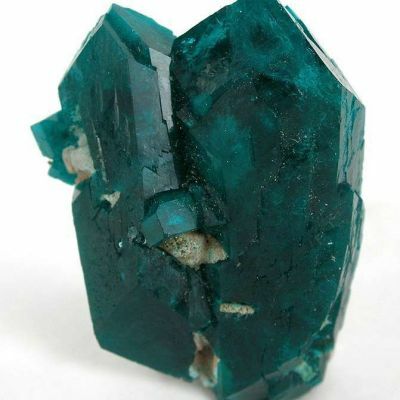 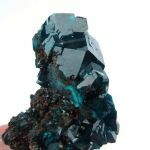 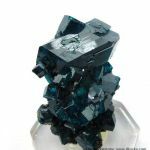 A terrific, and very hard to come by, Dioptase miniature of top quality.